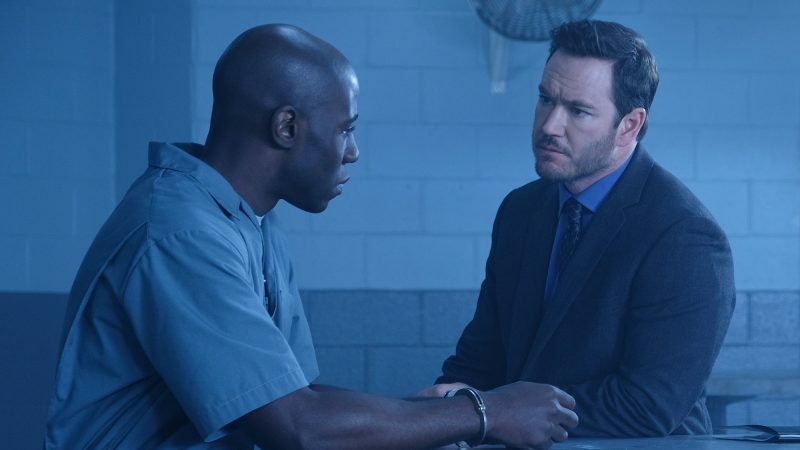 Alumnus McKinley Belcher III MFA ’10 stars as death row inmate Anthony Carter in The Passage, which premieres tonight on FOX. The new series is executive produced by Emmy Award winner, and Academy Award and Golden Globe nominee Ridley Scott and writer-director Matt Reeves. The Passage focuses on Project NOAH, a secret medical facility’s experimentation of a dangerous virus that could either cure all diseases or destroy the human race. A young girl, played by Saniyya Sidney, is chosen as the next test subject for the facility’s efforts to find a cure. Rather than turn her in, federal agent Brad Wolgast, played by Mark-Paul Gosselaar, has a change of heart and chooses to protect her from the project’s scientists and its dangerous new race of beings, including Carter. An alumnus of the MFA Acting program, Belcher’s most recent television roles include starring as Agent Trevor in Netflix’s Ozark and Samuel Diggs on PBS’s Mercy Street. 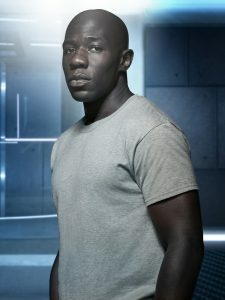 He also was featured in the HBO mini-series Show Me a Hero, and has a recurring role on the STARZ series Power. On stage, he performed in Macbeth at the Shakespeare Theatre Company, the off-Broadway production of The Royale and as Macbeth in Long Wharf Theater’s world premiere production of Macbeth 1969.